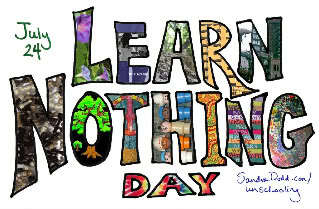 today is learn nothing day … also celebrated in germany! vacation for unschoolers! have fun! This entry was posted in blog and tagged life, unschooling on July 24, 2009 by junimond.